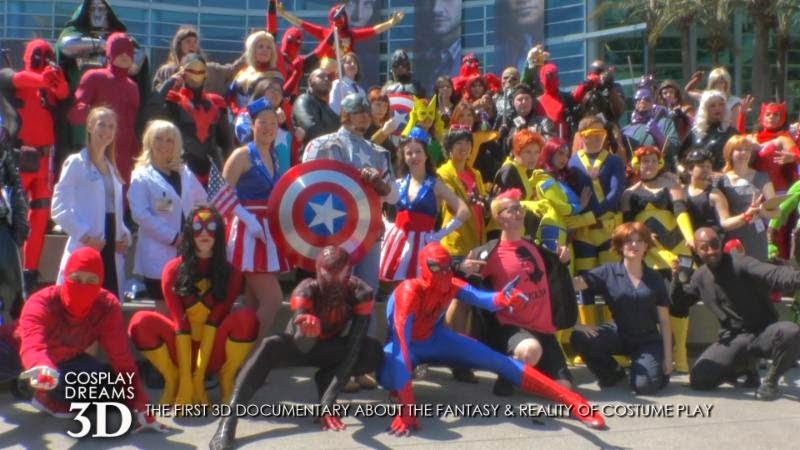 A one-hour preview event for the documentary film Cosplay Dreams 3D, examining the fascinating, highly visual world of costume play, will be held Sunday, November 2 at 12pm at Stan Lee's Comikaze Expo at the Los Angeles Convention Center. In addition to the film presentation, an unparalleled glasses-free 3D experience will be offered in the Cosplay Dreams 3D booth #122 for more than 50,000 attendees of the 3-day convention (Oct. 31 - Nov. 2). Passage Productions and Drama House Productions, creators of the documentary, have teamed up with Stream TV Networks to present highlights of the project in Ultra-D, which uses 4K display technology for brilliant no-glasses-required 3D. The exclusive preview event will showcase 25 sneak peek minutes of the film in 3D, complete with amazing visual effects-driven "dream sequences" and previously unseen footage, followed by an all-star panel of Cosplay celebrities: Cosplay super-star Yaya Han (Heroes of Cosplay, SyFy), Cosplayer to the stars "Fanboy Brandon" Hillock (My Big Fat Geek Wedding, SyFy), singer/songwriter and YouTube sensation Traci Hines, Cosplay diversity activist Ginger Burton, and other stars of the film. Cosplay is short for costume play, a growing worldwide phenomenon in which millions of ordinary people called "Cosplayers" wear costumes to emulate and pay homage to their favorite anime, comic book, video game, TV, film and manga (Japanese comic book) characters. 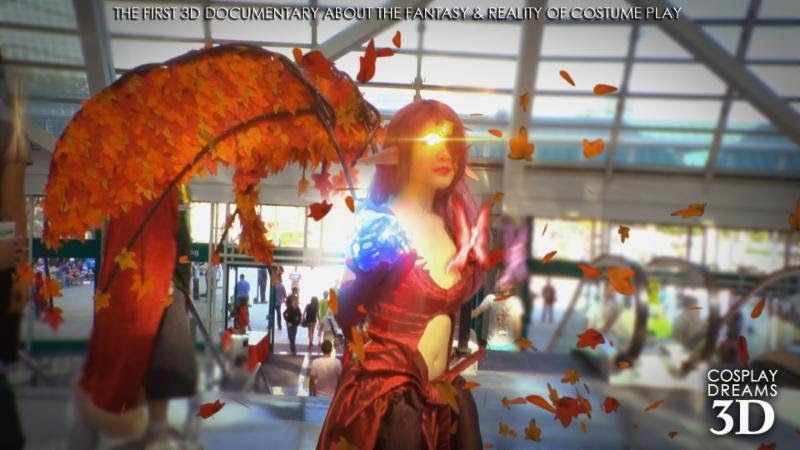 "This will be the last time we'll be previewing Cosplay Dreams 3D before it makes its world premiere as the headline film for the Los Angeles 3D Film Festival on December 6th," comments executive producer Christine Kasal Parascandolo. "We had a massive response at our San Diego Comic-Con panel, and it gets us so excited as filmmakers to screen our film for such a positive and passionate audience." The documentary filmmakers will host and moderate the preview panel and answer questions about their fascinating journey in making this one-of-a-kind film. The team will also unveil a behind-the-scenes video about the making of the original song "Wonderful Weird" performed by indie-pop group Peter Panic and featuring Cosplay Idol Traci Hines. The song will be released at the panel event. The film's producers are also excited to announce an alliance with Stream TV Networks, developer of the award-winning Ultra-D glasses-free 3D screen technology that will be integrated into consumer products by various brand partners in 2015. "3D without glasses is what people have been waiting for, and we are thrilled that our glasses-free 3D technology will showcase this incredible 3D movie for 50,000 fans at the Comikaze Expo," said Stream TV CEO, Mathu Rajan. "Fans of 3D will see that the wait for an immersive viewing experience - no glasses required - is almost over." "When we first saw our film in Ultra-D, it was like seeing it for the first time," exclaims the film's Director Gulliver Parascandolo. "I've only dreamed about this kind of technology, and looking into that Ultra-D monitor and seeing the images come right out of the screen... it was like looking into the future! I can only imagine how the fans at Comikaze are going to react!" 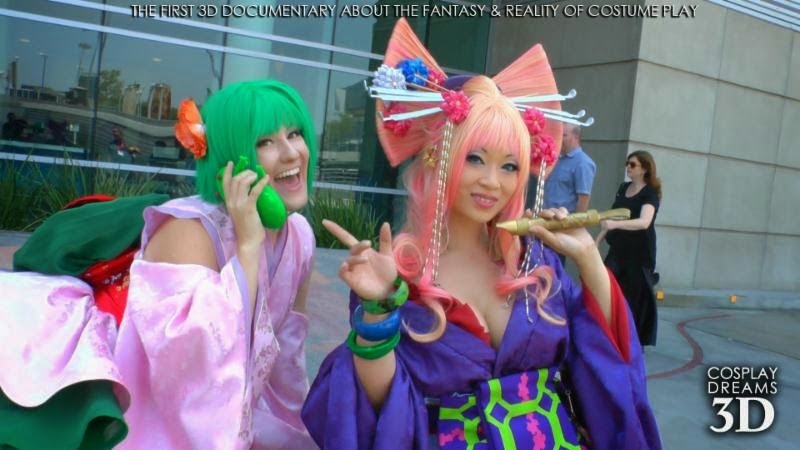 The Cosplay Dreams 3D booth featuring the Ultra-D display will be located in the award-winning Video Game History Museum at Comikaze, booth 122 inside the Los Angeles Convention Center October 31 - November 2. The preview panel will be held in Screening Room 411A on the third floor at 12PM - November 2.